R35 is a great performance car, but still rideheight designed for street use and go over speedbumps without bottoming. Lowering the car would give more grip and better handling, but then the factory designed kinematics wouldn’t work as it supposed to. If kinematics is out of range, then it decreases mechanical grip and also influenses aerodynamical grip as kinematics supports less roll, squat and pitch. 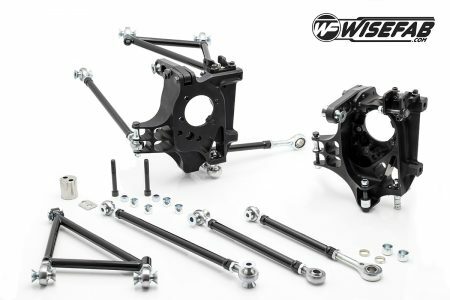 The kit would bring the RC, bumpsteer and camber curve back to normal range, providing better roll stiffness, better handling and grip.